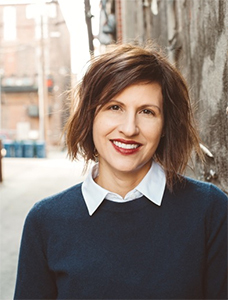 Indiana University East’s School of Humanities and Social Sciences Regional Writers Series will present author Melissa Fraterrigo for an evening reading and book signing. Fraterrigo’s reading is from 7:30-8:30 p.m. on Wednesday, April 11, in the Whitewater Hall First Bank Richmond Community Room. She will sign books prior to the reading. The reading and book signing are free and open to the public. Fraterrigo has published a short story collection, The Longest Pregnancy, and Glory Days, a novel-in-stories. Her fiction and nonfiction has appeared in more than 40 literary journals and anthologies including The Rumpus, Shenandoah, The Massachusetts Review, storySouth, and Notre Dame Review. She has been a finalist for awards from Glimmer Train on multiple occasions, twice nominated for Pushcart Awards, and she was the winner of the Sam Adams/Zoetrope: All Story Short Fiction Contest. Currently, she is director of the Lafayette Writers’ Studio, which she founded in 2014 in Layfayette, Indiana. While on campus, Fraterrigo will meet with students at 3:30 p.m. to teach students enrolled in Introduction to Creative Writing in Whitewater Hall Room 213. The class is open to all IU East students. Tanya Perkins, assistant professor of English and coordinator for Creative Writing, organizes the Regional Writers Series.